Whats new in sun care filters and ingredients? The unwanted effects of sun exposure to human skin continue to be publicised, yet skin cancer is now the fifth most common form of cancer in the UK. 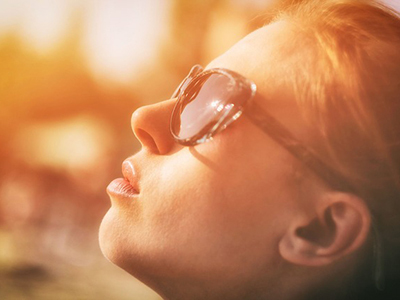 In February 2016, new advice from the National Institute of Health and Care Excellence (NICE) urged consumers exposed to sunlight for more than a short time to take steps to protect their skin using an SPF of at least 15. It warned that sunscreens applied too thinly offer reduced protection and that those planning on being outdoors long enough to risk burning should apply sunscreen twice: half an hour before going outdoors and again when they head outdoors. 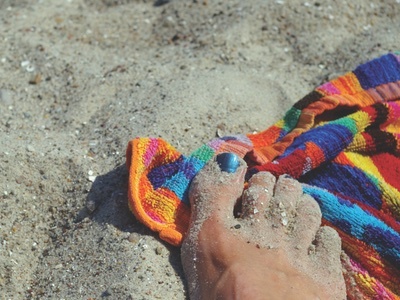 Water-resistant sunscreen was suggested if the user expects to be sweating or have any contact with water. In summary, NICE stated that: “There is no safe or healthy way to get a tan from sunlight.” It also reminded consumers that “getting a tan provides little protection against later exposure to sunlight and the resulting skin damage outweighs any later protective effect”. In the US, skin cancer is the most common form of cancer, yet the last approval for widespread use of a sunscreen ingredient was in 1990. Since 2002 there have been eight ingredients submitted to the FDA that are still awaiting the agency’s review. But in February 2015, President Obama signed the Sunscreen Innovation Act designed to force the FDA to reach decisions on these. Information published in January 2016 by the Cancer Council of Australia warns that Australia has the highest incidence of skin cancer in the world, with two in three Australians diagnosed with skin cancer by the time they are 70; 11,570 Australians were diagnosed with melanoma in 2011 and each year more than 434,000 are treated for one or more non-melanoma skin cancers. The advice in Australia is shown in the box-out below. Slide on sunglasses that meet Australian standards. Similar concerns are expressed by all major countries throughout the world, although few take the extreme protection of wearing the full body cover and face masks seen on some beaches in China. Brian Diffey is a renowned expert on the effects of solar radiation on human skin and an article by him published in June 2015 described a risk management approach to sun exposure. The hazard is exposure to solar radiation and the risk can be minimised by avoiding outdoor activities during the middle part of the day, by wearing suitable clothing and by the correct application of a sunscreen. Diffey stresses that application of a sunscreen after sunburn has occurred is of no value in repairing sun damage. However, mechanisms have evolved to protect cells and to repair damaged molecules. It is also possible that some natural antioxidants can minimise DNA damage both during and after sun exposure. The good news for sunscreen formulators in Europe is that after much delay, nano-sized zinc oxide has been approved for use at up to 25% in sunscreen products, although there are certain restrictions regarding purity, coatings, particle size and solubility. 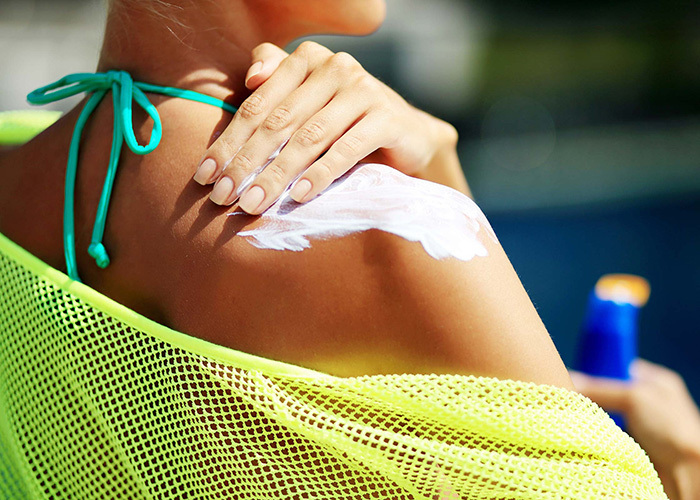 Because the EU is the last major market to approve the use of nano zinc oxide as a sunscreen, there are already many variants available from suppliers. For example, Umicore offers no less than six in powder form plus eight different dispersions, two of which also include titanium dioxide. Particle size is all-important when formulating with zinc oxide. The larger the particle the more UVA protection it offers, but there is a significant loss in transparency. Conversely, smaller particle size improves transparency, but there is a loss in UVA protection. Umicore maintains that Zano 10 is designed to offer the highest levels of UVA and UVB blocking, while maintaining a high level of transparency. Zano 20 is designed to offer higher levels of transparency, while still providing sufficient UVA protection levels to meet the broad spectrum claim criteria. Each powder is available uncoated or coated with triethoxycaprylyl silane and the dispersions are in either sesame oil or caprylic/capric triglyceride. Untreated zinc oxide is alkaline and can cause pH problems in formulations. Zinc Oxide Neutral from Symrise is pH neutral due to a special manufacturing process and does not shift the pH of cosmetic preparations into the alkaline range. It is said to be easily dispersible in the oil and water phases of emulsions, and is nearly transparent to visible light. It causes no unacceptable whitening of the skin, even when used in high concentrations or after repeated application and protects against UVB and UVA radiation up to wavelengths of 380nm. Claiming exceptional transparency with the ability to meet all minimum UVA requirements currently specified by regulatory bodies, including the minimum UVAPF≥1/3SPF required in Europe and the 370nm critical wavelength requirement used in the US and other jurisdictions, is ZinClear IM from Antaria. ZinClear IM is available dispersed in either C12-15 alkyl benzoate, caprylic/capric triglyceride, jojoba oil or neopentyl glycol diheptanoate. Exceptional transparency is claimed through the use of Index-Match technology, whereby there is a match between the refractive index of the particle and the refractive index of the emollient. This is made possible because the particles are formed with a porous structure. Croda claims that the key to the transparency of its Clarus CZ zinc oxide dispersions is a tightly controlled particle size distribution that eliminates whitening but maintains protective efficacy. Its CZ-100 dispersion is in C12-15 alkyl benzoate and its CZ-300 is in caprylic/capric triglyceride. In both dispersions the zinc oxide particles are coated with polyhydroxystearic acid and isostearic acid. Polyhydroxystearic acid is a commonly used dispersant for ultrafine titanium dioxide and zinc oxide. It is available from Innospec as Dispersun DSP-OL100 Sunscreen and the suppliers claim that it dramatically decreases the viscosity of dispersions at dose rates of just a few percent, allowing higher concentrations of pigment to be used, and that it significantly improves optical transparency and UV absorption. RonaFlair Smart Veil from Merck comprises approximately 30% zinc oxide coated onto a talc platelet in order to ease the handling of micronised zinc oxide while maintaining the SPF benefits of the raw material. It is claimed to provide improved dispersion properties and a powdery dry skin feel with good transparency. The particle size of Nanox 200 zinc oxide from Elementis is optimised at an average of 60nm to provide a broad spectrum of protection against UVA and UVB combined with good transparency in formulations. Sunjin’s SunZnO series consists of zinc oxide with various surface treatments to suit the carrier. SunZnO-NCO uses hydrogen dimethicone to make it highly compatible with silicones and it has an average particle size of 35nm. Triethoxycaprylylsilane is used for SunZnO-NAS, which has an average particle size of 40nm and for SunZnO-AS, which has an average particle size of 80nm. Triethoxycaprylylsilane is also used as the surface treatment for MZO-35-11S5 and ZNO XZ-11S3 from Kobo Products. It renders the zinc oxide particles extremely hydrophobic and lipophilic, so that they are easily dispersed in esters, mineral oils and silicone fluids. DM565HP1 from Kobo is a dispersion of zinc oxide, dimethicone, lauryl PEG-9 polydimethylsiloxyethyl dimethicone and triethoxycaprylylsilane. It is designed to mimic the volatility of cyclic silicones and with a primary particle size of 60-100nm it combines good UVA protection with a high level of transparency. Z-Cote HP1 from BASF also has a hydrophobic coating of triethoxycaprylylsilane. BASF provides a very useful tool online for determining the theoretical SPF and UVA absorbance of all recognised UV absorbers, alone or in combination. Called the Sunscreen Simulator [sunscreensimulator.basf.com], it also filters the absorbers by their legal status in all the main markets worldwide. The Innovation Company provides three zinc oxide dispersions: Creasperse ZN 40 AF 50 [INCI: Zinc oxide, hydrogenated polydecene, hydroxystearic acid] and Creasperse ZN 40 VS 50 [INCI: Zinc oxide, squalane, hydroxystearic acid] provide low SPF and high UVA protection with transparent application. The third dispersion is Luxscreen ZN 40 AF 50 [INCI: Zinc oxide, hydrogenated polydecene, styrene/acrylates copolymer], which contains 50% of zinc oxide (40nm) encapsulated into a polymer and dispersed in photostable hydrogenated polydecene to provide low SPF and high UVA protection with transparent application. According to Applechem, its G-Block products are engineered to provide the most efficient combination of high transparency, broad spectrum protection and SPF performance as an easy-to-pour liquid dispersion. G-Block DZ 370CCT is a 70% dispersion of zinc oxide in caprylic/capric triglyceride with polyhydroxystearic acid, polyglyceryl-3 polyricinoleate, isostearic acid and lecithin, and provides broad spectrum protection at the critical wavelength of 370nm. With no new introductions of organic UV absorbers to the European market and the use of titanium dioxide being well established, the focus is now on improving the photostability and efficacy of existing materials. Tagra Biotechnologies uses encapsulation technology to deliver organic and inorganic sunscreens in free flowing powder form with an average particle size of less than 20mm. ZnCap has a payload of 70% zinc oxide and the other SunCap products include payloads of titanium dioxide, ethylhexyl methoxycinnamate, benzophenone-3, homosalate, butyl methoxydibenzoylmethane and octocrylene. The encapsulation process is said to retain the sunscreen on the superficial layers of the skin, reduce systemic absorption and increase photostability by overcoming incompatibilities with other UV filters. Encapsulation of organic sunscreens is also undertaken by BioNest to supply SunCat MTA. It is a combination of 20% ethylhexyl methoxycinnamate; 10% octocrylene; and 20% butyl methoxydibenzoylmethane encapsulated in a double layer of phospholipids. It is claimed that SunCat MTA can provide broad spectrum protection throughout the whole UVB and UVA range, from 290-400nm. Also, high SPF and excellent photostability can be achieved in low concentrations of SunCat MTA, while – when comprising 20% by weight of final compositions – it stays within the regulation boundaries of all major sun care markets. The Silasoma range of encapsulated UV absorbers by Seiwa Kasei uses a resin of hydrolysed silk with silicone [INCI: Polysilicone-14] to provide a number of aqueous dispersions of oil-soluble organic filters. Various combinations are available and the maker claims that, in addition to being very safe, the dispersions provide a soft and light after feel that is devoid of stickiness. They also allow the formulation of surfactant-free sun protection products and can also be incorporated into hair care product formulations. Epiprotectyl UV from Air Products is described as innovative delivery technology for leave-on hair products that holds up to 50% UV filter in a hydrophilic medium. It allows for a long lasting adhesion of the filter to the hair fibre and intentionally prevents it from penetrating. Also Epiprotectyl UV offers a significantly higher protection against free radicals compared with the filter alone. Its rather extensive INCI composition is given as aqua, octocrylene, butyl methoxydibenzoylmethane, inulin lauryl carbamate, caprylic/capric triglyceride, behentrimonium chloride, sucrose laurate, disodium EDTA, phenoxyethanol, benzoic acid, dehydroacetic acid, ethylhexylglycerin and polyaminopropyl biguanide. Protecting hair and hair colour from solar radiation is the claim made for ChromAveil [INCI: Quaternium-95, propanediol] from Croda. It is described as a broad spectrum UV absorber that provides substantiated colour fade protection for dyed hair. Croda claims that it has exceptional substantivity to the hair and can readily be incorporated into daily hair care regimes for maximum protection. It is suitable for both cold mix and hot process manufacturing, and is stable in low to neutral pH environments. Its constituents are not listed in Annex VI of the EU Cosmetics Regulation and so ChromAveil is not approved for use as the sole active in a product featuring a UV protection claim. Combining hair conditioning properties with UV protection is a claim made for Abil UV Quat 50 [INCI: Polysilicone-19] from Evonik Industries. It is very substantive to hair from rinse-off applications such as shampoo and conditioners; it protects hair against colour fade and hair fibre integrity against damage caused by UV radiation. Tests show that using Abil UV Quat 50 at 2% level in a shampoo leads to a reduction of colour fading by 50%, which means the colour resists sunlight twice as well than without Abil UV Quat 50. White Northern Europeans that heed the warnings about acquiring a suntan still wish to add some colour to their skin. So many turn to using fake tans. Dihydroxyacetone (DHA) remains the active of choice; it does not stimulate melanin production when applied to the skin, but causes a chemical reaction with amino acids in the surface cells producing a darkening effect. DHA does not damage skin as it only affects the outermost cells of the epidermis and remains the only fake tanning active approved by the FDA. DHA is available from various sources as the pure powder but it is also supplied by IRA as CC DHA, a 50% active encapsulated in a cyclodextrin complex to enhance its effect, improve stability and offer controlled release. Tests by IRA found the tan from CC DHA to take slightly longer to develop, but the colour was more intense, lasted longer and was more even. DHA Rapid from Merck is a synergistic combination of DHA with troxerutin that speeds up the self-tanning process and provides a smooth and particularly even skin tone. The troxerutin imparts an anti-inflammatory effect and its antioxidant and chelate-building properties protect the skin cells from damage caused by free radicals. Merck also supplies DHA Plus, which is DHA stabilised to prevent malodour formation. The tanning effects of DHA can be improved by the addition of erythrulose, which intensifies the colouration and extends its life. Information from DSM claims that there are ten good reasons for combining DHA with erythrulose in fake tanning preparations; these include the provision of a homogenous skin tone with a natural and gradual glow, and ease of application resulting in less streaking. It also has moisturising properties. An alternative to fake tanning is to use a tanning accelerator, which provides a natural tan with less sun exposure. Lucas Meyer suggests two materials for this purpose, both of which stimulate UV-induced melanin production. Melactiva [INCI: Maltodextrin, Mucuna pruriens seed extract] is a natural tan accelerator extracted from kapikachhu seeds native to Australia and New Zealand. Melitane [INCI: Glycerin, aqua, dextran, acetyl hexapeptide-1] complements the skin’s own level of natural melanin and strengthens the skin’s defence, making the skin less sensitive to UV-induced erythema. The quantity of melanin produced by the body depends on the quantity of tyrosine and the catalysing enzyme tyrosinase. The skin’s pigmentation increases until a balance is reached between melanin production and degradation. In order to increase melanin production and speed up tanning the body can be provided with tyrosine and its catalyst enzyme, tyrosinase. Zymo Tan Complex SF [INCI: Propylene glycol, aqua, tyrosine, tyrosinase] from IRA is said to enhance the tanning process, producing a darker and stronger tan. Use with herbal extracts of carrot, walnut hull and hop further increases the activity of the product. Provital supplies Tanositol SPE [INCI: Inositol], which is the active compound produced from the fruits of Ceratonia siliqua or carob tree. Tanositol plays a key role in the cascade of intracellular signals that results in activating the main melanogenesis pathway. Also from Provital, Suntan Accelerator PSP [INCI: Aqua, glycerin, acetyl tyrosine, riboflavin, potassium sorbate, phenoxyethanol] is a preparation rich in tyrosine and riboflavin that stimulates the biochemical reactions of melanin formation in the skin. RonaCare Bronzyl [INCI not disclosed] from Merck is described as a new, technologically sophisticated active ingredient that stimulates the production of melanin and activates the natural tanning process. The active ingredient can be incorporated into day and night creams, multifunctional body care and anti-ageing products. Studies on human tissue cultures have shown that the application of RonaCare Bronzyl contributed to a significant, 43% increase in melanin in the basal layer after ten days. The efficacy of sun protection products can be substantially improved if the delivery system is optimised to provide a continuous film on the surface of the skin. Suitable delivery systems for UV absorbers and other active ingredients are covered in May's issue of SPC and will be available on this site soon.